The Best Shark Dive in the World! : Marketing by lying? I'm not blaming the journo for publishing those statements. 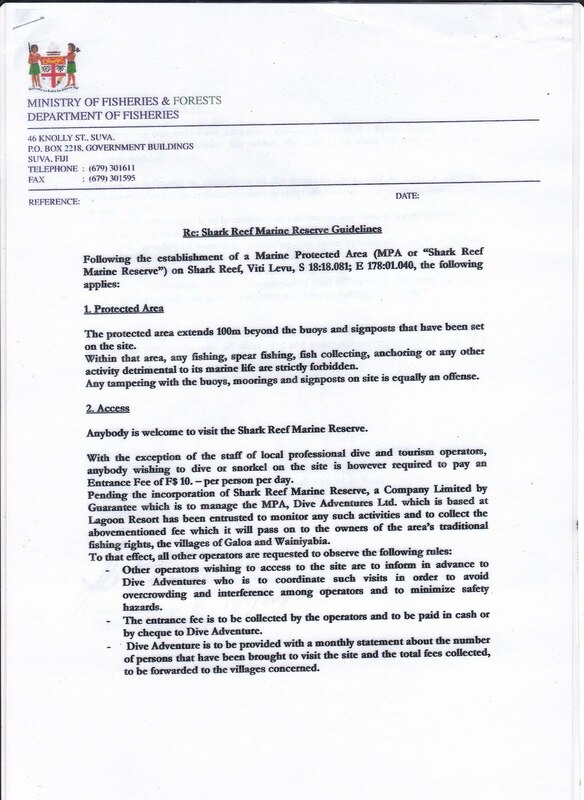 But the fact is that Shark Reef Marine Reserve was negotiated and established by myself (my 2003 project paper here - testimony here) and Manasa “Papa” Boulivou, period - with the cooperation and assistance of the villages, the then Minister of Fisheries Konisi Yabaki and his men under Aisake Batibasaga . 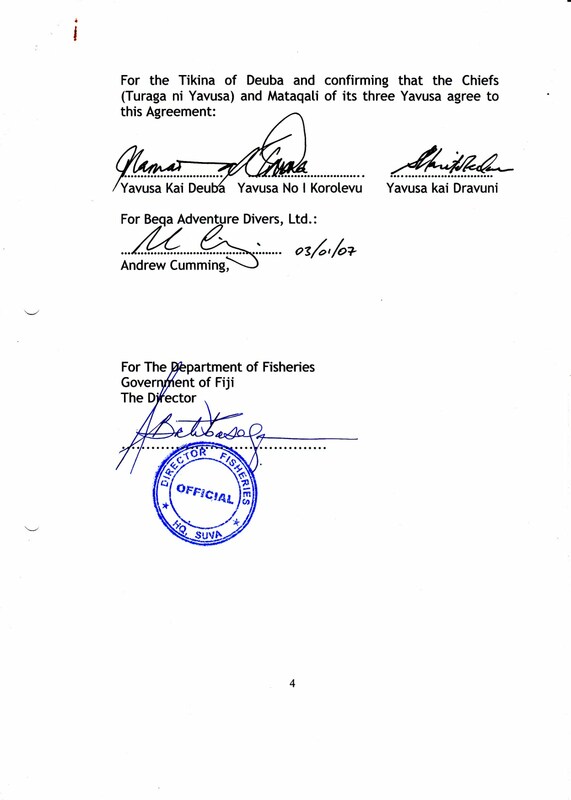 Certainly not by Aquatrek Beqa who were actually adamantly opposed to it; not by “me, Brandon Paige” who resigned from Aquatrek Beqa in 2002 and was then working on Taveuni; not even by Beqa Adventure Divers who however became the trustees of the reserve once it was established in 2004 and have been collecting the Marine Park Levy ever since. 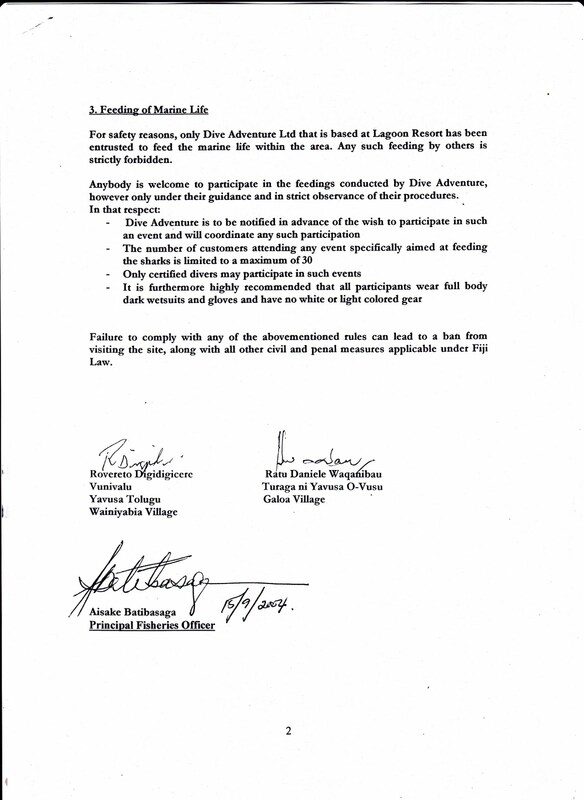 By all means, don’t take my word for it: here are the relevant documents - click to enlarge. 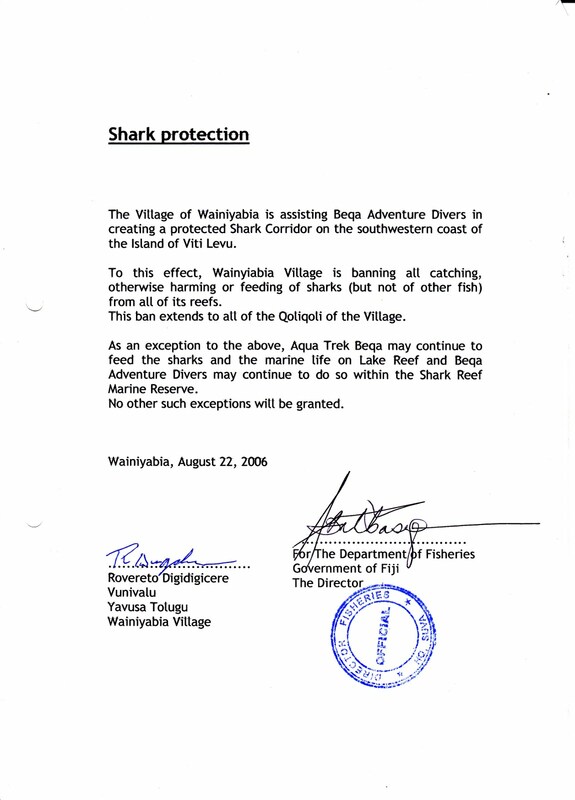 The Fiji Shark Corridor comprising the Qoliqoli or fishing grounds of the villages of Galoa, Wainiyabia and Deuba and encompassing Shark Reef Marine Reserve and Lake Reef was established by Beqa Adventure Divers in 2007 and the three villages have since been compensated by us (only) for keeping it Shark Safe. q.e.d. - I rest my case. How pathetic having to post this! And yes, I wish I were a bigger man - maybe in another life! This is one of the many reasons why I encourage divers not to go with Aquatrek. Caught them in another lie. When will they learn??? Perhaps this will open the eyes to those who book AT? Well, whatever the reason for uploading all this....I as a customer know this much...I was rudely spoken to by one european gentleman in your truck one day at the then Shell Service station in Lami when I came up to ask about shark diving. I never forgot that. Lenora, thank you for your testimony - somebody must have had a bad day. As to who customers should book with. They generally, and rightfully could not care less about these pathetic shenanigans. 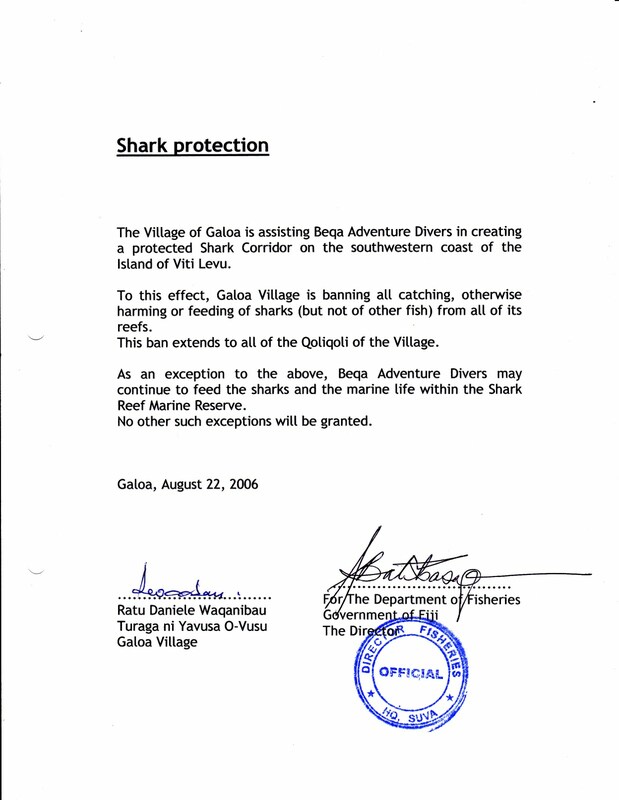 Thankfully, Fiji has become one of the premier global Shark diving destinations and demand for Shark dives is high. 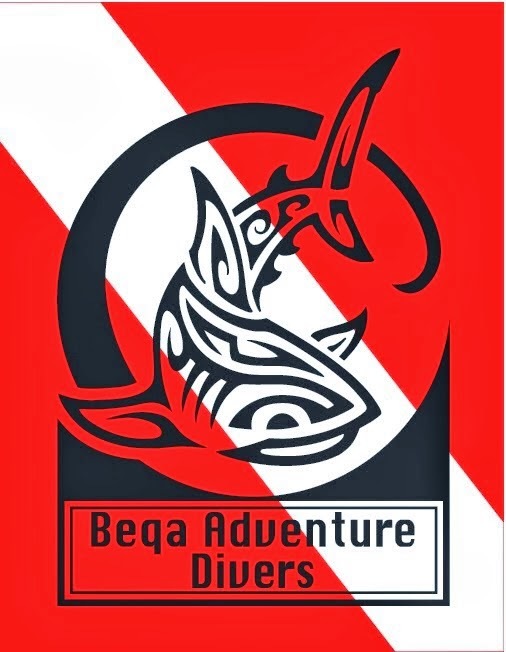 We only run four Shark dives per week and are generally fully booked as we will never deviate from limiting the number of clients we take on our dive to 20 only. Plus, our intransigent protocols dictate that there is a whole demographic, as e.g. 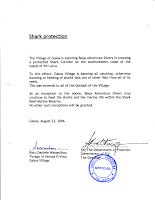 "extreme" Shark divers, that we just simply cannot accommodate. In short, there would be enough business for everybody here - without the need for resorting to defamatory accusations with the local authorities and dishonest marketing, of which this is but a particularly glaring example. Sadly, I'm not expecting any improvement anytime soon - unless A'trek finally find a buyer and the new owners are willing to engage in honest, and welcome cooperation.